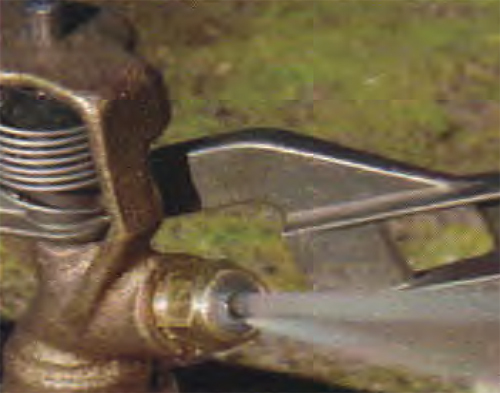 Impact sprinklers designed for irrigation uniformity and efficiency. Our impact sprinklers are designed for durability, long life, and optimum performance. We use double-bridge construction and skirted heads for extra strength. 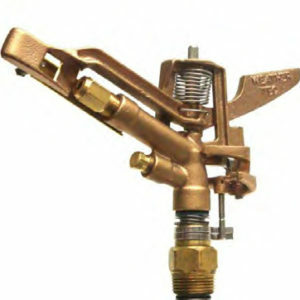 Our standard brass nozzles provide superior performance, but special-purpose nozzles are available to give your system designer flexibility for greatest efficiency. Every single one of our impact sprinklers are factory water-tested, by hand, in our facility in Fresno, California. In addition to our high impact sprinkler line, WeatherTec has sold and manufactured high uniformity nozzles to help growers minimize dry spots, give better coverage, and provide higher yields. They can be used with existing sprinkler systems and can be retrofitted without changing the brass or plastic which saves the grower money. Both our impact sprinklers and nozzles are designed, machined, assembled, and individually tested in our Fresno, California plant. Extend the performance of your high-impact WeatherTec sprinklers by adding on the FCI-HP TMNozzles or the FC2 Flow Control sprinkler nozzles.